We have come to the end of another term and the children have made lots of progress. 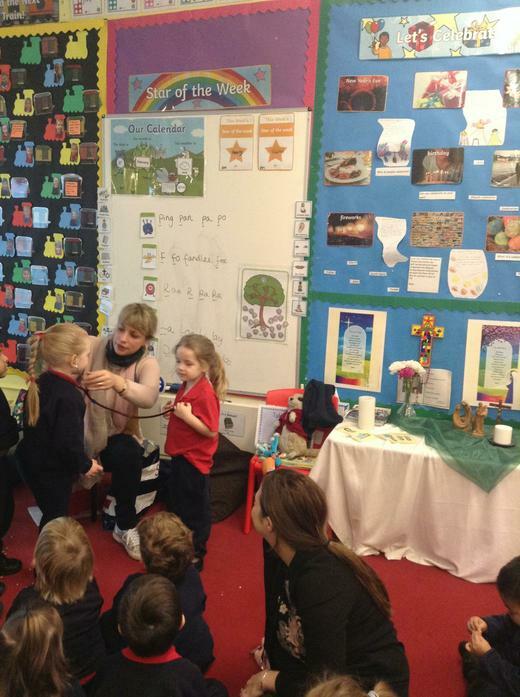 We have been very busy learning all about growing and preparing for Easter. 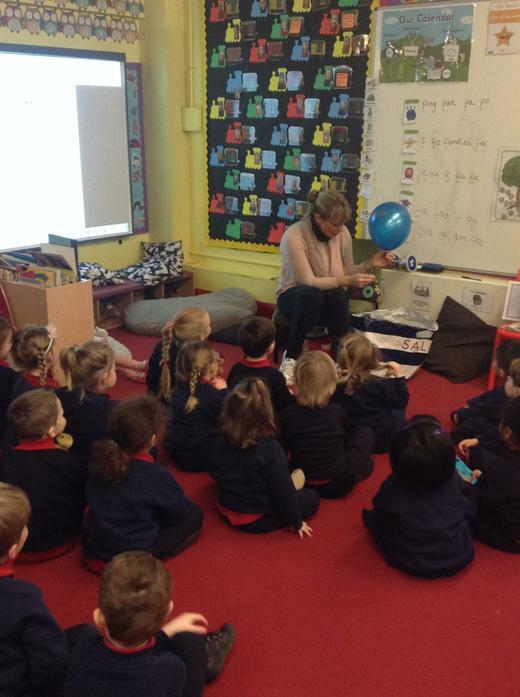 We have also tried really hard to learn our initial sounds and numbers to 10. We have been focusing on writing our name (which lots of the children can now do) and those who can't quite manage it independently yet have made a really good start! The children have formed great relationships with each other as well as the Nursery staff and all seem to enjoy coming to Nursery! 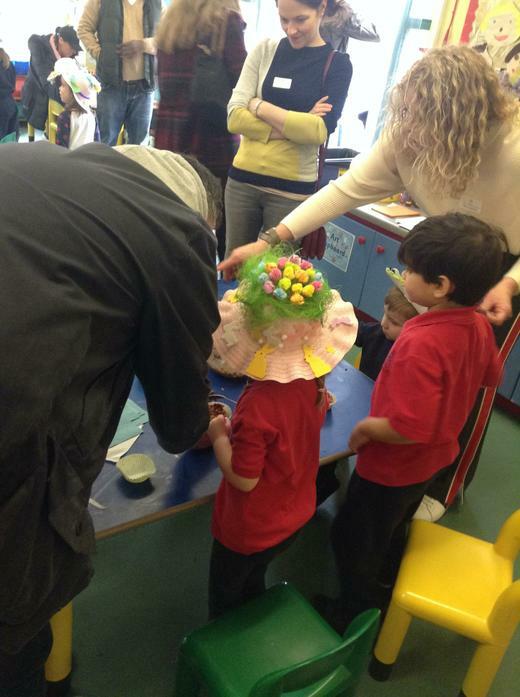 Thank you for all of your efforts with the Easter bonnets - they were fantastic and the children thoroughly enjoyed parading around the school! 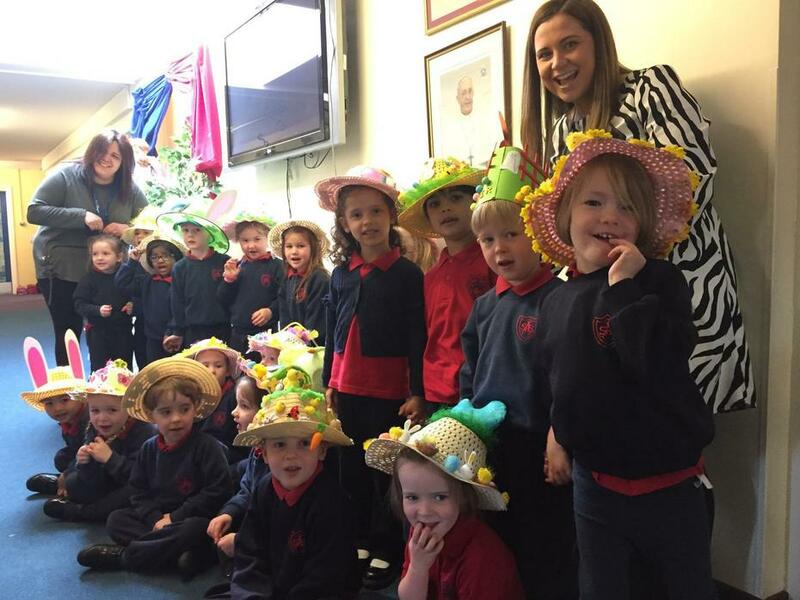 We wish you a blessed & relaxing Easter and we look forward to seeing you all in the summer term! This week we read the story 'Titch' and made predictions about the ending. We also put pictures from the story in size order from smallest to largest. We tried hard to balance on one foot during our PE lesson but we all need to keep practising to get even better! 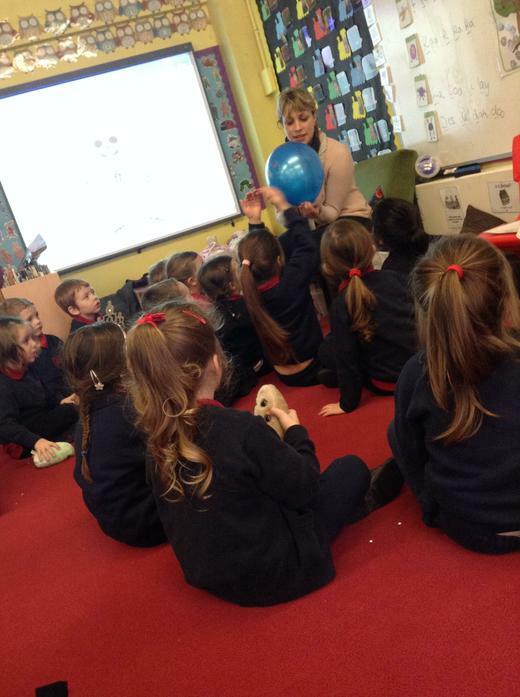 We also ended our RE topic 'Gathering' this week by asking questions about things we wonder about. This week our stars of the week are Sophia and Joseph. Well done for trying hard, playing nicely with your friends and for listening to instructions! This week we have been learning about positional language in maths and we have been creating movement to music to show how a seed grows into a plant. We have planted cress and sunflower seeds so now we need to remember to water them to make sure they grow! We also learnt about the life cycle of a sunflower and are having a competition to see who's sunflower grows the tallest. In RE, we learnt the story 'Jesus and the children'. 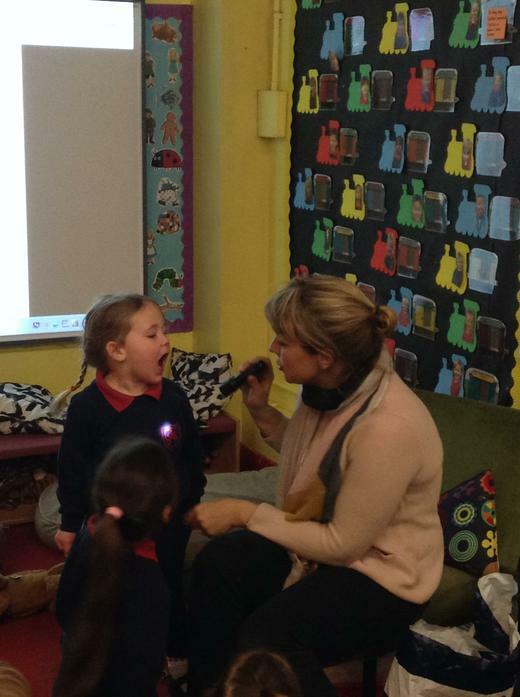 We then acted it out in lots of detail using actions and our big voices. Please make sure you read the letter in your child's book bag about our Easter Stay & Play on the 4th April 2019. Well done to Hannah and Olivia who are our stars of the week this week. Keep up the good learning! 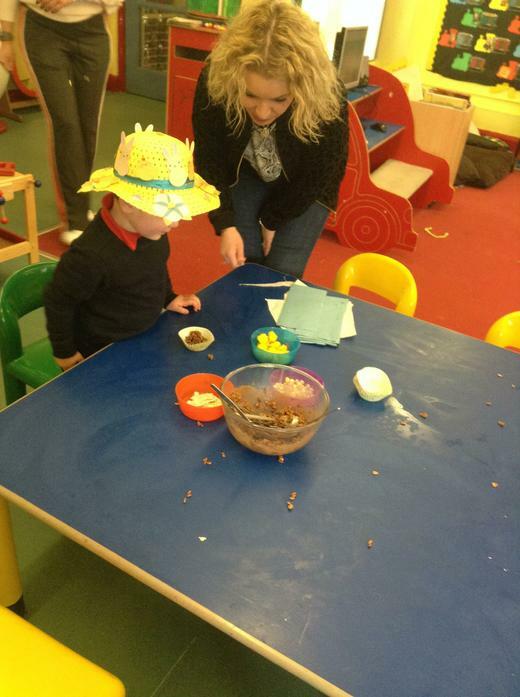 This week the children really enjoyed making pancakes, flipping them and eating them! We then learnt all about Ash Wednesday and told each other the things we have decided to give up for Lent. 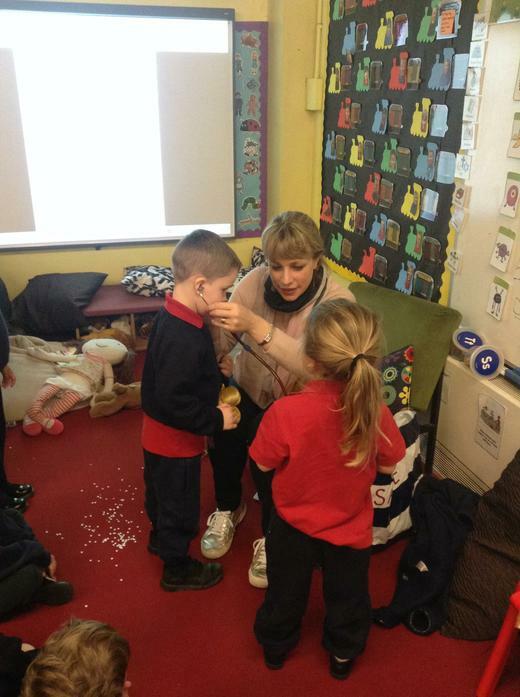 On Wednesday, we went to the hall with Reception and Key Stage 1 where we received ashes on our head. 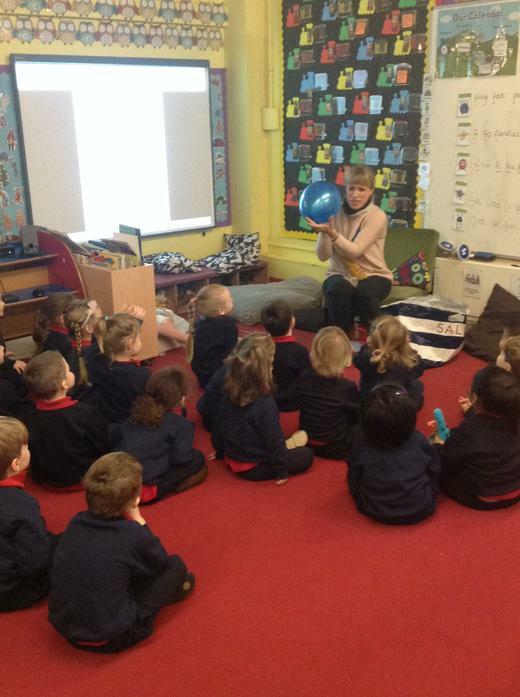 We then had a VERY exciting day on Friday when we celebrated World Book day! 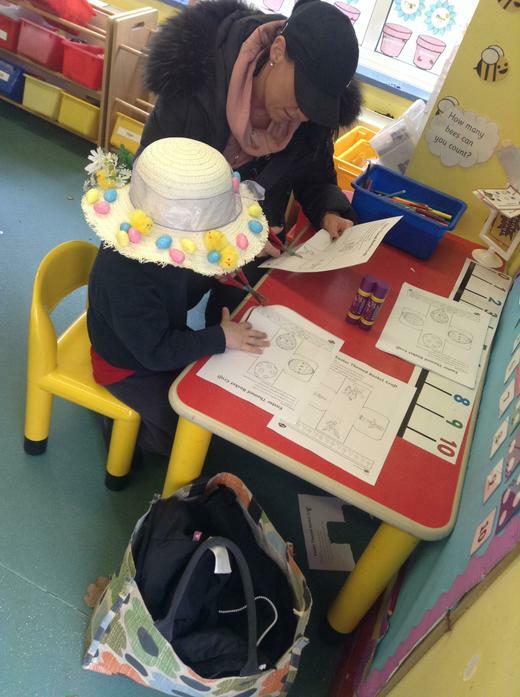 We loved dressing up and telling each other all about our characters. 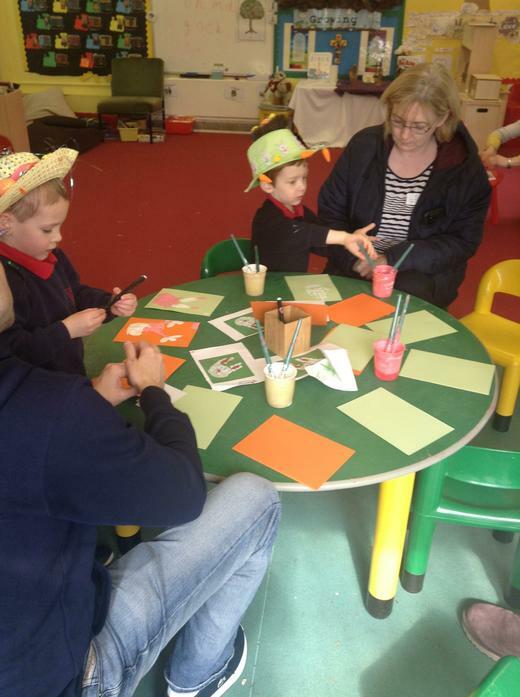 We took part in lots of World Book Day activities and we made our own special book marks. We hope you like them! Thank you to everyone who brought in their £1 contribution. If you forgot this donation, could you please bring it in next week as it will allow us to buy something new for our book corner. 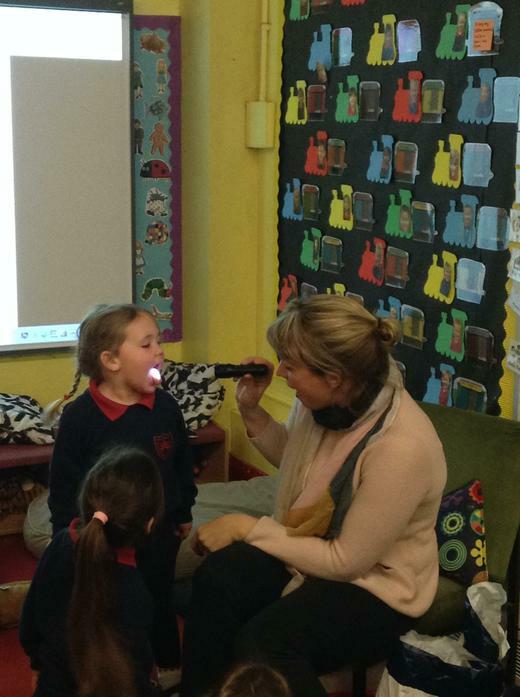 This week in Nursery we have been learning about Doctor's and Dentist's. During the week we talked about all the foods that are good and bad for our teeth and what would happen if we don't look after our teeth properly. 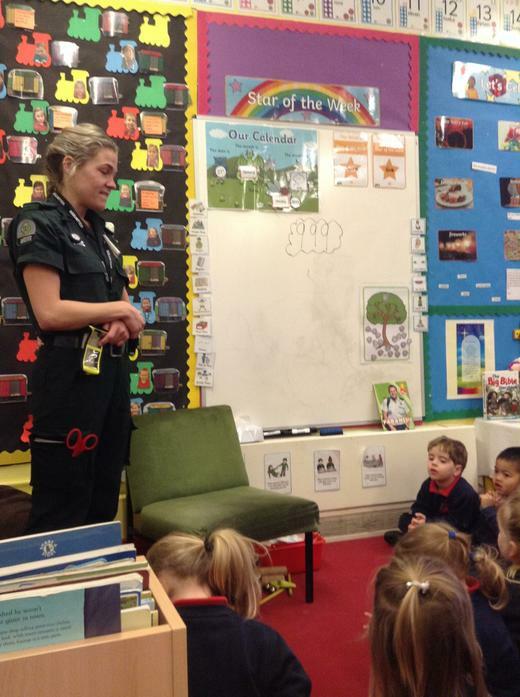 Later on in the week we looked at the role of a Doctor and how a Doctor helps us. 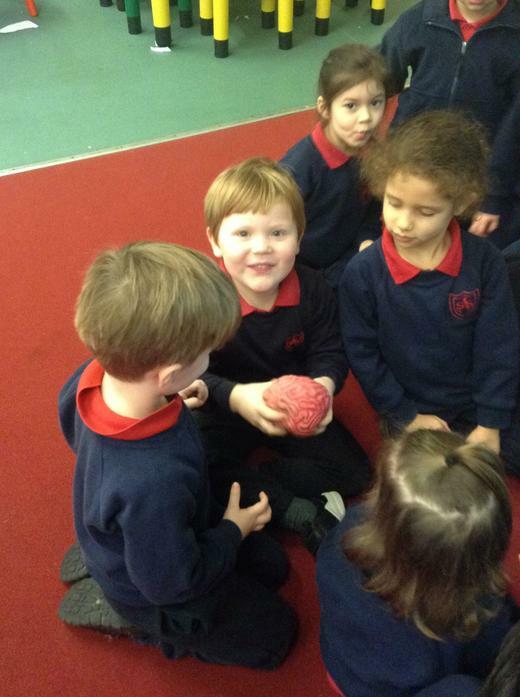 We got to play with body parts in red water and we talked about our different senses. 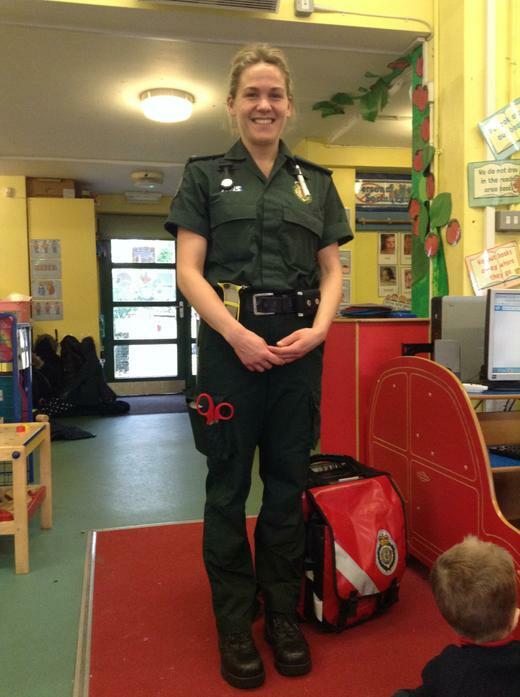 We were very lucky to have Doctor Gemma come and visit us on Friday. 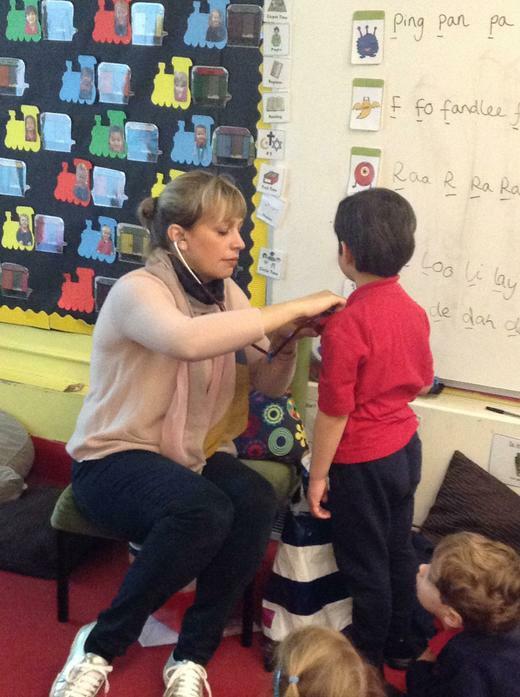 She told us about all the work that she does in the GP Surgery and we got to explore all her different equipment such as a stethoscope. We all had a great time and asked lots of good questions. Congratulations to William and Maddison who our are Stars of the week this week. Keep working hard and we hope you have lots of fun with Bobby and Maison. 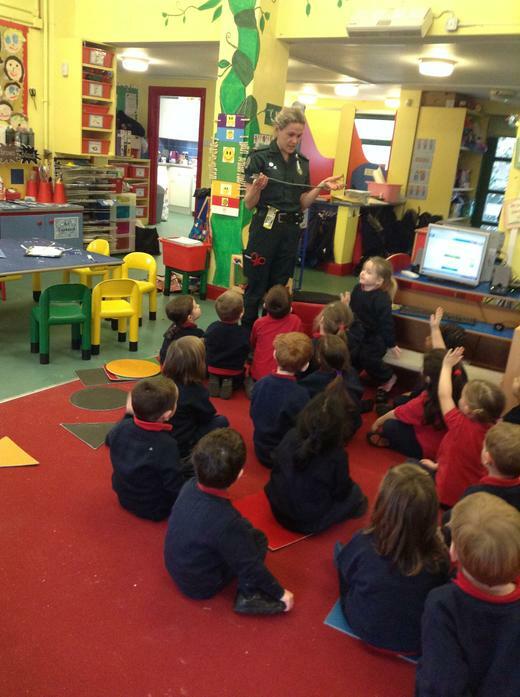 We started off the week with a wonderful visit from Paramedic, Mrs Kelly. 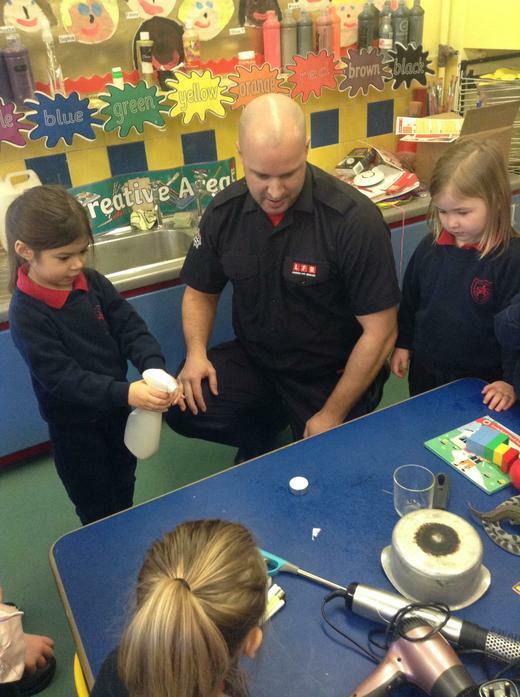 The children were all excited to ask their ‘why’ ,‘what’ and ‘how’ questions. 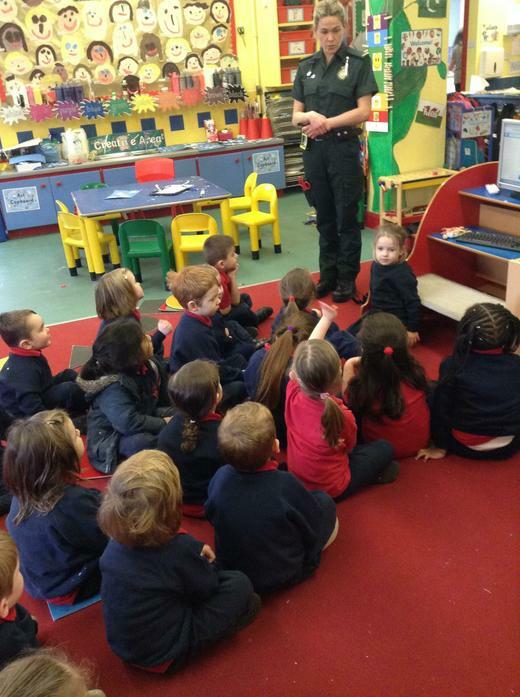 We learnt about the equipment a paramedic uses, the transport they use and the types of incidents they attend to. Also, we found out how strong and fit you need to be to carry such a full, heavy bag on the scene! 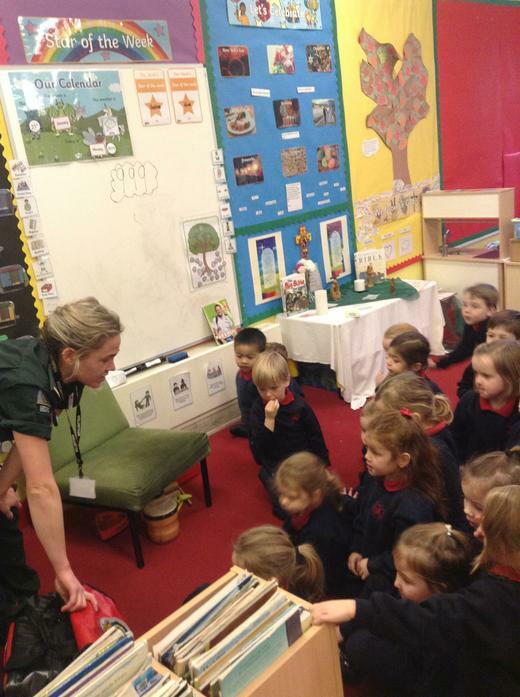 There was some great listening and speaking from the children and there were many hands up when the children were asked who wants to be a paramedic when they're older! 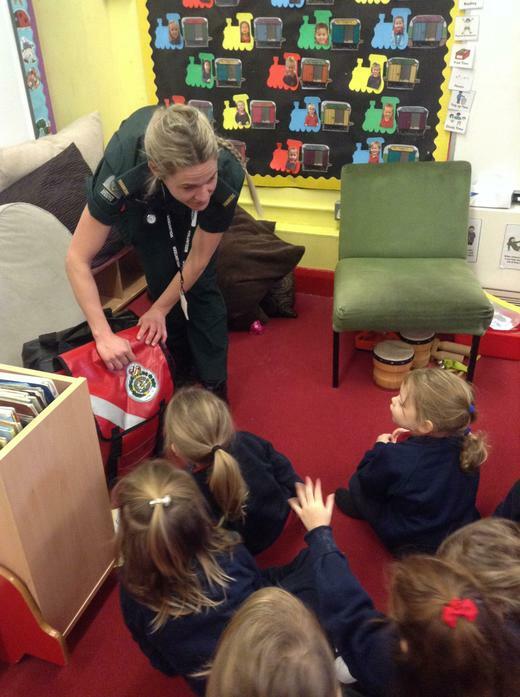 A visit from a Paramedic. Thank you to everyone who came to our phonics workshop - we hope you all found it useful. If you were unable to make it to the meeting please refer to the powerpoint on this page. 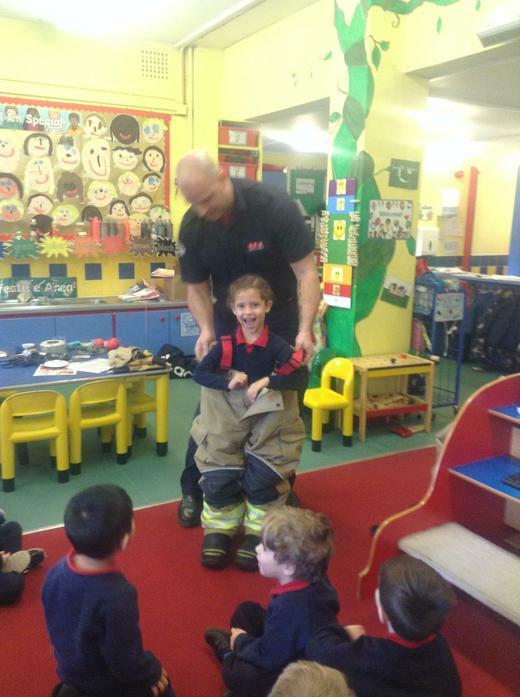 We had a great week at Nursery and loved learning about firefighters in our 'People who help us topic'. 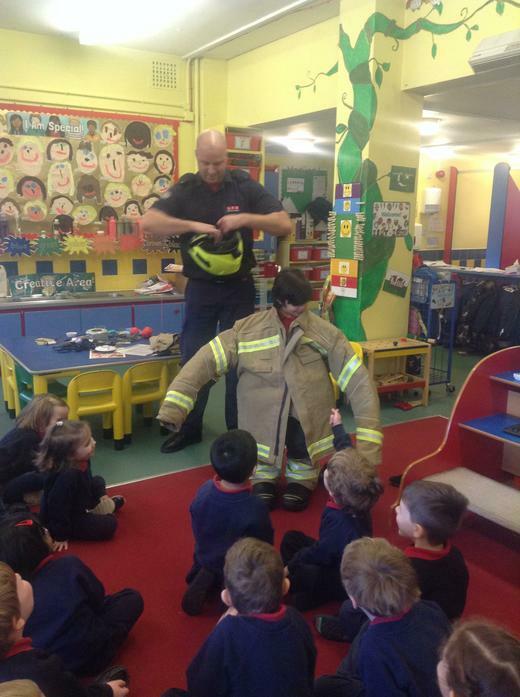 We all enjoyed meeting a fireman and had lots of questions to ask him! 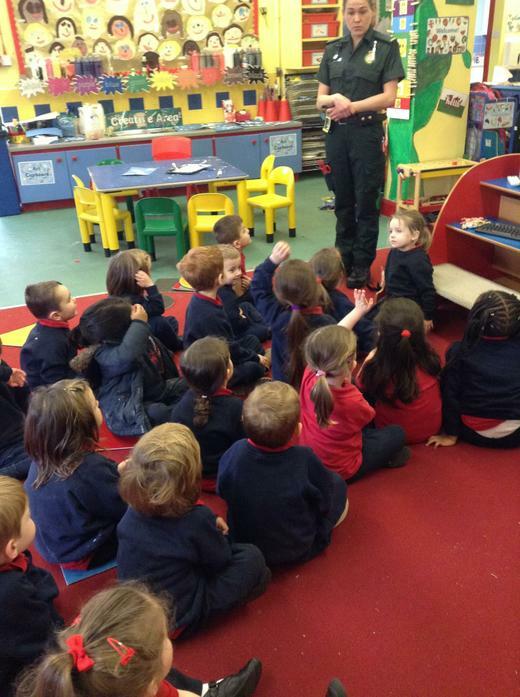 We learnt about things that are 'safe' and 'dangerous' and we sorted the items into different groups e.g. lego, books, candles, hairdryers, cooking pots, matches etc. 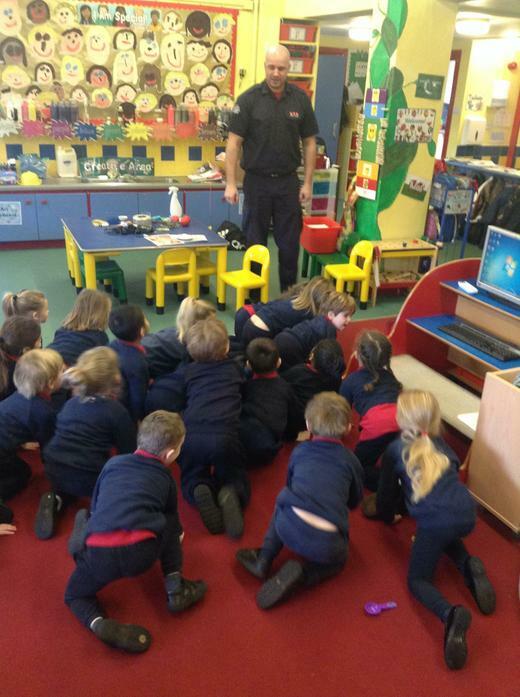 We practised escaping from a fire by crawling (to make sure we stayed close to the floor as smoke rises). 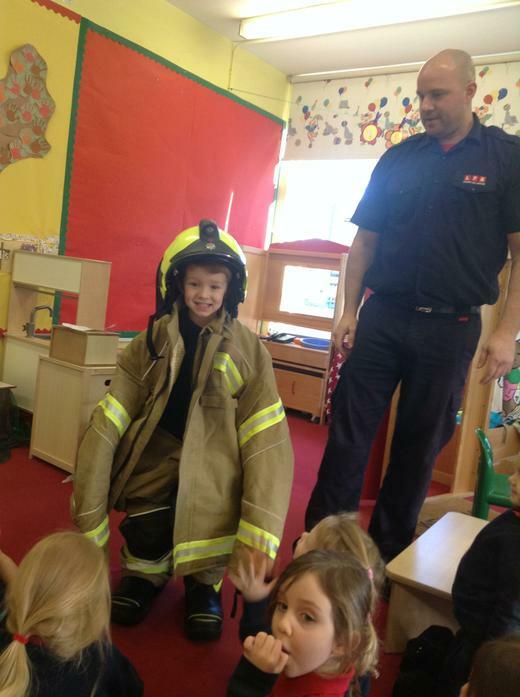 We also learnt about lots of other jobs firefighters do, we practised putting out a fire using water and we even got to try a fireman's uniform on! We know how important smoke detectors are and we would like to remind you to check that your smoke alarm at home is working. We would also love to share what we learnt at school at home with you so please take a look at the goodies in our book bags! Well done to Soline and Eva who are our stars of the week this week. You have been trying really hard with your work in class and you are being excellent friends to your peers in Nursery - Keep up the great work! Welcome back everyone - We hope you all had a lovely Christmas and a wonderful New Year! The children have had a fantastic first week back and have really enjoyed the beginning of our new topic 'People who help us'. The children have learnt all about the set up of a post office and have role played delivering lots of letters to their friends. We have also been on a sound walk around our school and have identified lots of sounds both inside the school and in the playground! The children could hear coughing, laughing, children playing, a toilet flushing, birds, leaves moving, a door shutting and LOTS more. We have started our new RE topic 'Celebrating' and we have been discussing lots of different types of celebrations and how they make us feel. We look forward to seeing you next week at our phonics workshop on either Tuesday 15th at 5pm or Wednesday 16th at 3:30pm. We've now reached the end of our Autumn term and what an exciting term it has been! 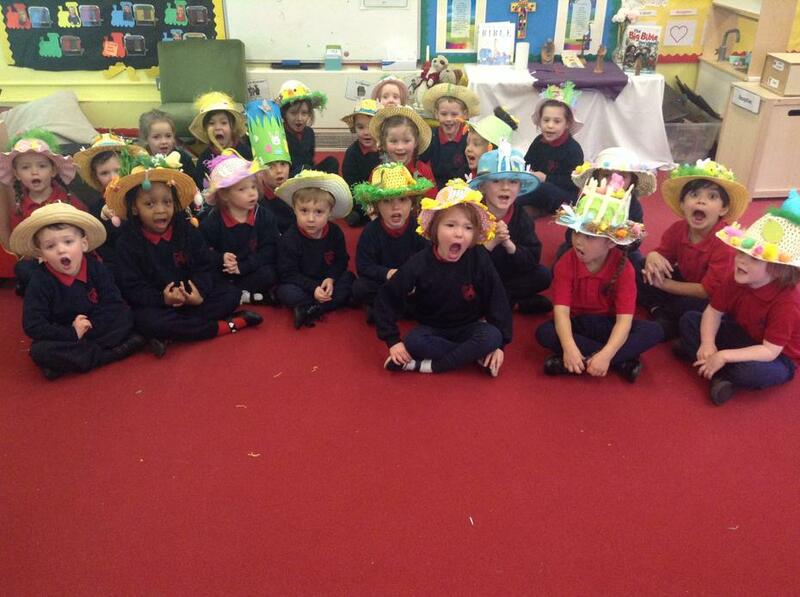 The Nursery children have made all of the staff extremely proud by performing in their first Christmas Nativity. To perform in front of an audience can be daunting at any age but to do this at only 3 or 4 years old is an incredible achievement! 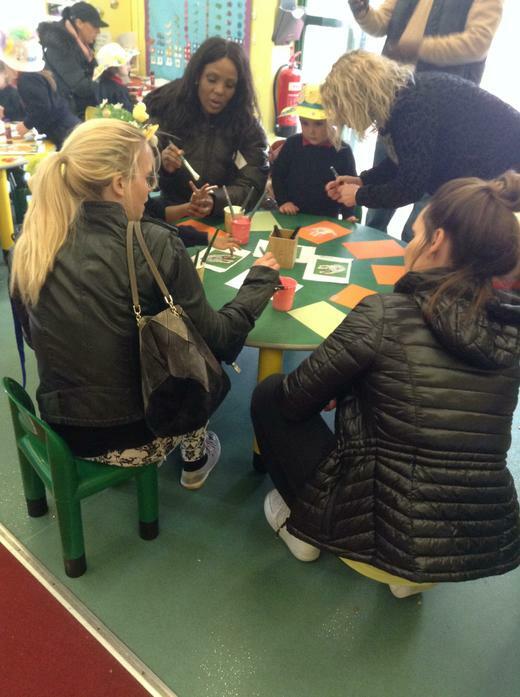 Thank you to everyone who came and joined in with our Christmas activities during our stay and play day. 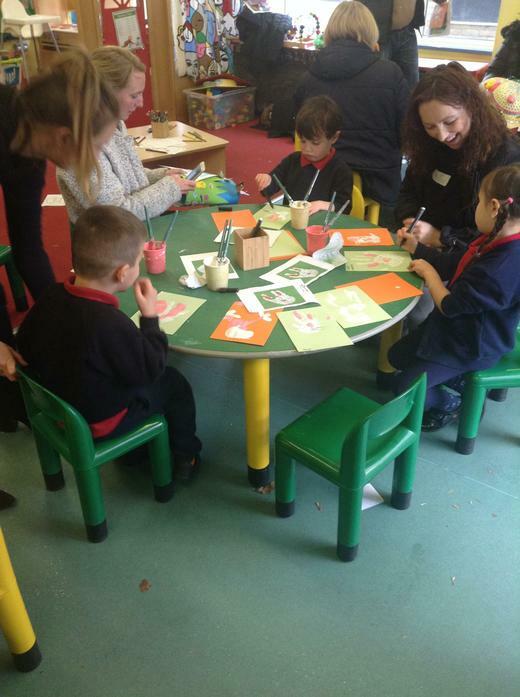 The children were very excited to have their loved ones with them and it was lovely to see everyone so involved. We hope you had fun with your children and that it was an enjoyable festive occasion. 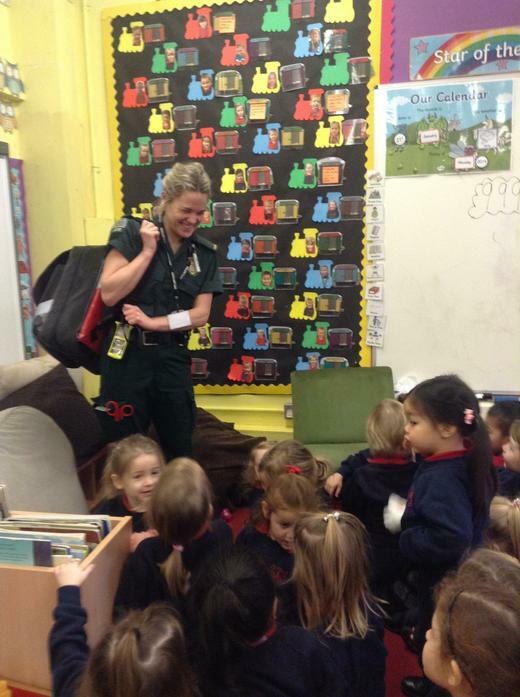 The Nursery staff would like to thank you all for our lovely cards and gifts. They were very thoughtful and much appreciated. We hope you all have a wonderful Christmas and New Year and we look forward to welcoming you back for lots more fun in 2019! 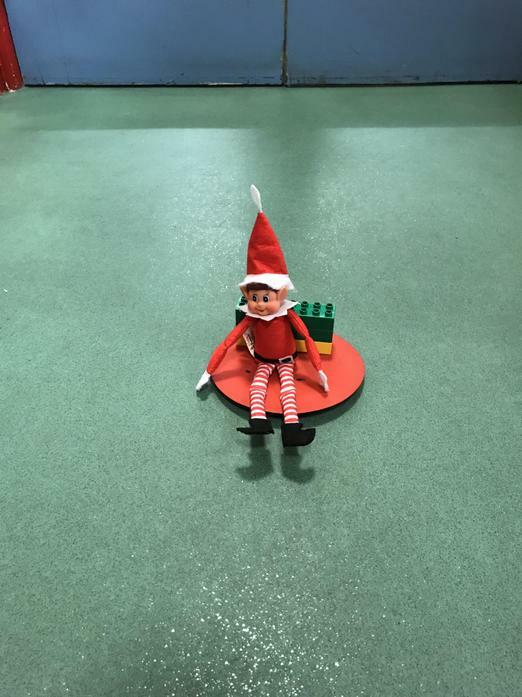 Jingles the elf came to visit us! 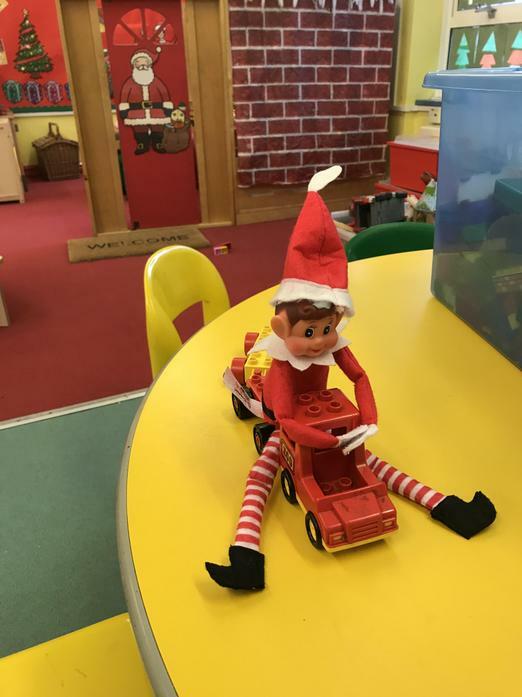 Jingles has been sent by Father Christmas to watch over us during our time at Nursery. We are all trying very hard to make sure we are on his 'nice' list! Although, it appears we need to keep our eye on Jingles too!!!! 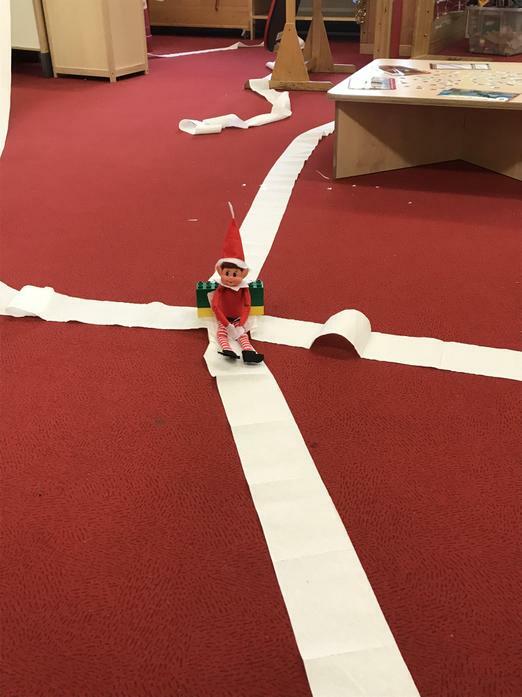 He has been getting up to mischeif.......he has been riding the train around our classroom and he decided to use a whole roll of tissue paper to mess up our Nursery! The children loved telling him off & putting him on the red spot. 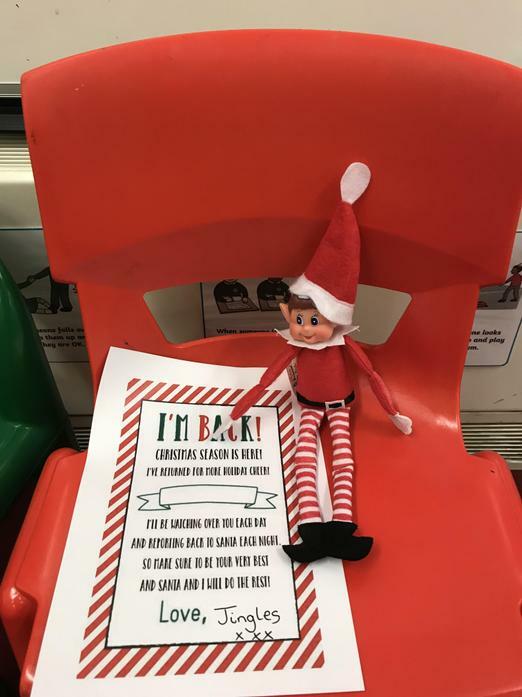 We have told him to be a good elf so we are hoping he is on his best behaviour next week! The children have worked really hard to practise their Nativity performance for next week and are really looking forward to seeing you! They were getting into the festive spirit feeding Santa mince pies and making Christmas cones as well as lots of other Christmas arts and crafts and role play. 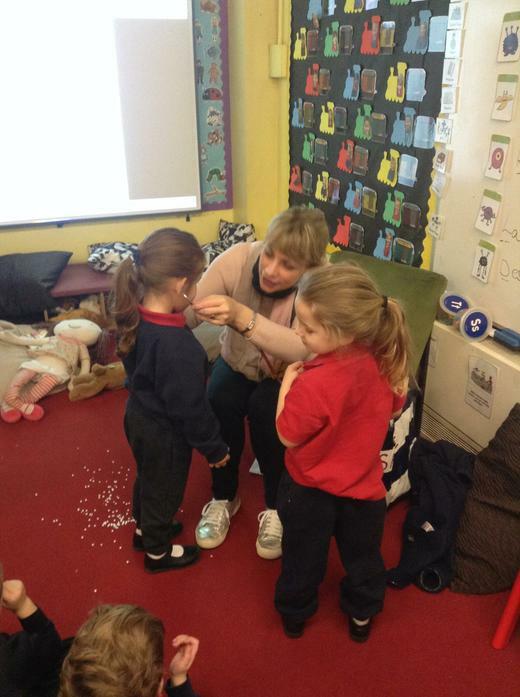 Wednesday 19th - Nursery Christmas Party. Please bring in a labelled plate with some party food and a drink for your child/children. Thursday 20th - Morning session starts at 9:30am and the afternoon starts at 1:30pm. Parents can stay and take part in some Christmas activities with their child/children before helping them get changed into their costume for the Christmas Nativity. Well done to Ellen who was our star of the week - keep up the great work! Unfortunately Mason has not yet been returned. 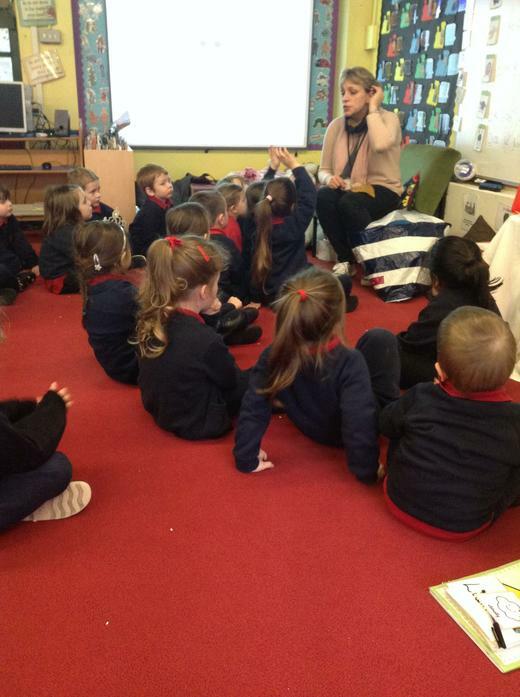 Another week has come to an end in Nursery and the children are impressing us more and more each week! 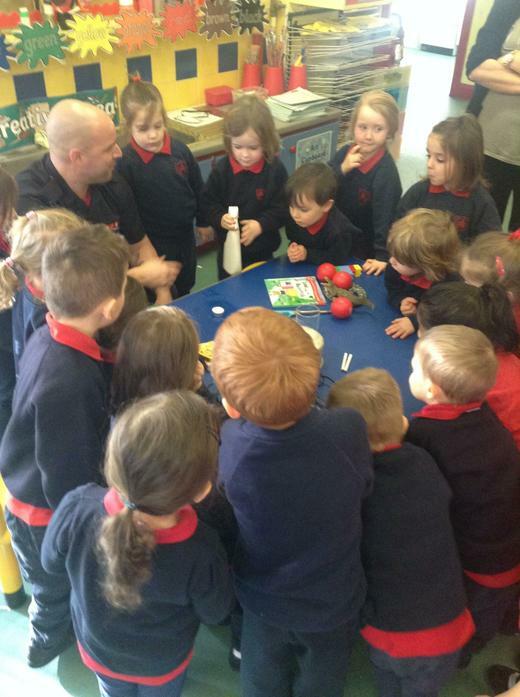 We have been making advent wreaths, colouring rice to make rainbow rice, painting and making things with junk modelling. We have also been playing in the small world farm, throwing bean bags onto numbers and decorating and cutting Christmas trees. We have started our preparations and we are excited to show you what we have made! Well done to Connor and Annabelle who are our stars of the week. They have been fantastic at tidying up during tidy up time and have been trying really hard when practising for our Christmas Nativity - Keep up the great work! - Please can all toys stay at home. - Please can all school uniform be returned ASAP. Children are having accidents and we do not have any spare clothes left. 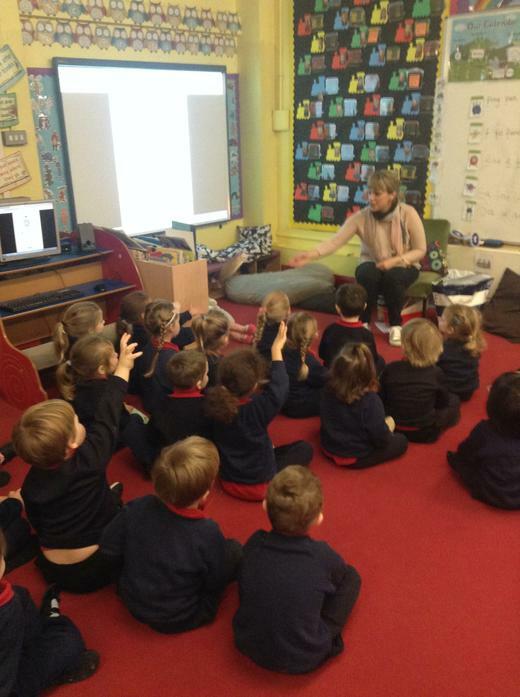 This week in our Nursery we have been reading the story the 'Greedy Rainbow'. The children tried really hard to predict the ending and make up alternatives! We have also been reading and acting out the Nativity story in preparation for Christmas and our Nativity. The children have been very creative and have made rainbow sun catchers. They have been doing rainbow sponge paintings and have started making their Christmas bags. In maths the children enjoyed counting how many presents Santa left in different bags and made comparisons. 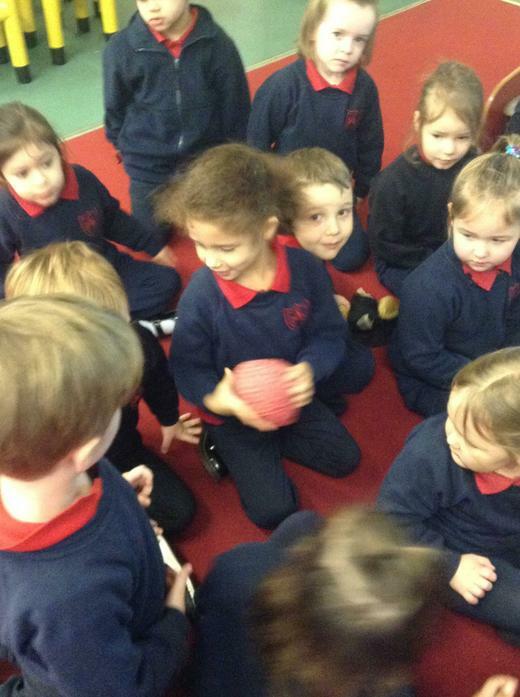 Both Nursery classes really enjoyed their PE lesson this week where they played the game Foxes and Farmers. The children who were farmers had to catch the foxes by pulling off their tail! It was great to see children using the skills they have learnt by changing their speed and direction! We were very lucky this week as we were invited to watch two performances! Children who attend Nursery in the morning got to watch Year 1's Christmas play dress rehearsal and the children who attend in the afternoon got to take part and watch Year 2's Collective Worship. 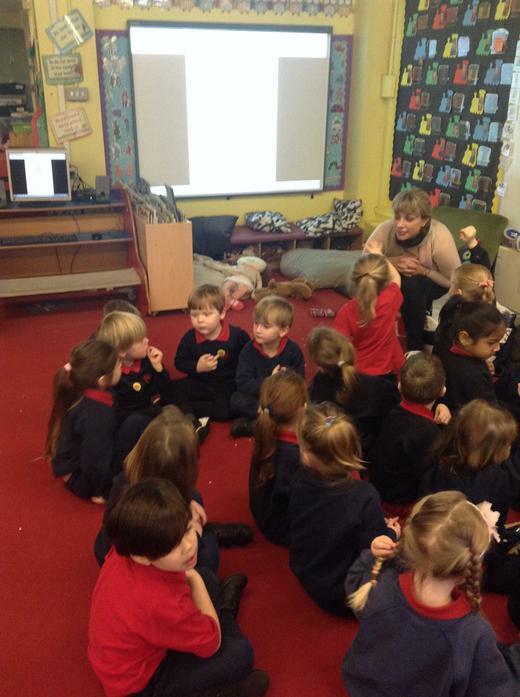 They all behaved excellently and really showed the rest of the school how sensible they are - Well done Nursery!! Ava and Bleu are the stars of the week this week. They have both been excellent role models in Nursery and we hope you have a fantastic weekend with Bobby and Mason. - Please make sure all names are on hats, scarves and gloves as well as other items of clothing. - If you have any items of clothing that your child/children have borrowed could it please be returned asap as we are running low on spare clothes. - Nativity costumes to be brought into school on the 10th December (We do not need them in Nursery before this incase they get lost or damaged but we would like to make sure everybody has their costume in time and we would like to have some dress rehearsals) . This week we have been focusing on how to be a good friend and how we can help others. The children have made some fantastic suggestions and it has been lovely to see them playing nicely with their friends in class. The children have been exploring colour further by mixing their own colours and by creating their own rainbow fish based on the story. They have also been making houses out of 2d shapes and we are really pleased to see lots of children recognising and naming shapes! Unfortunately, we were unable to give out Bobby and Mason this week. Some children were poorly and they were unable to return them in time but they are looking forward to a new adventure next week! We have had lots of children off of school this week with various illnesses. We hope you all have a restful weekend and are feeling better for next week! Please note: A letter has been sent out inside children's book bags with details about the Christmas play. This week in Nursery we have been looking at Elmer the patchwork Elephant and learning about all of the different colours and we experimented with what would happen when we mixed two different colours together. We've been really busy looking out for different shapes in the school environment and went on a walk to see what different shapes we could spot. We created our own firework pictures using cardboard tubes and it was so lovely to hear the children talk about all the different fireworks they had seen on the weekend and throughout the week. We have been discussing celebrations this week and we got to decorate our own biscuits using icing sugar and sprinkles (we hope they tasted as yummy as they looked). There were some remote control cars that we got to use this week which was also lots of fun! We learnt how to operate them correctly and had lots of races with them. Well done to Haris and Dominic for being our stars of the week this week. Hope you both have an amazing time with Bobby and Mason. Welcome back from the half term break. We hope you all had lots of fun and a good rest! We really enjoyed hearing about the children's holidays and it was lovely to see them so excited to share their experiences with their friends! We have had a busy week going on a nature walk, making leaf men, leaf animals, making firework paintings, doing lots of counting and learning how to travel in different ways during our PE lesson! The children have been learning about fireworks this week in preparation for the weekend/Monday and many are looking forward to watching the displays! - We hope you all have an excellent time & stay safe! Thank you to all of you who came to your child's parent meeting this week. We hope you found them informative. We have sent home the reports in the children's book bags. The children have learnt lots about welcoming people and Baptism this week. They all managed to find some numbers on our number hunt around the school and enjoyed joining in with the popular 'We're going on a Bear hunt' story. We have also recapped the importance of sharing and being a good friend. 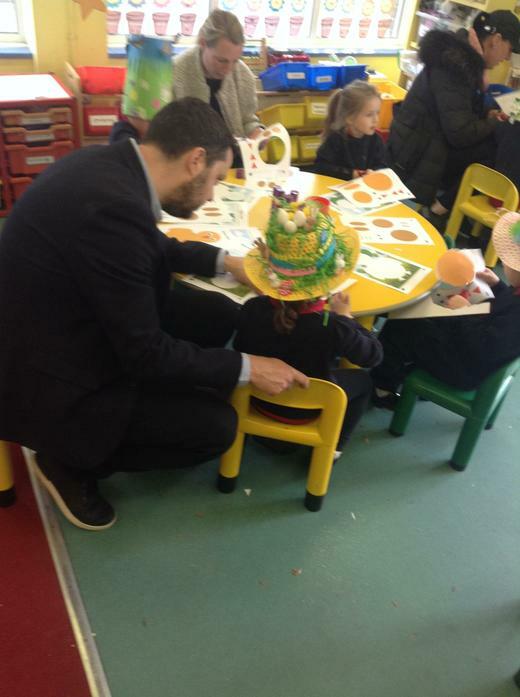 The children took time to reflect on their first half term at Nursery and we hope they are looking forward to returning after their well deserved break! Well done to Arlea and Phoebe who are our stars of the week! They have both been fantastic role models and we are lucky to have such kind, thoughtful friends in our Nursery. We hope you all have a safe and enjoyable week off and look forward to seeing you for lots more fun! 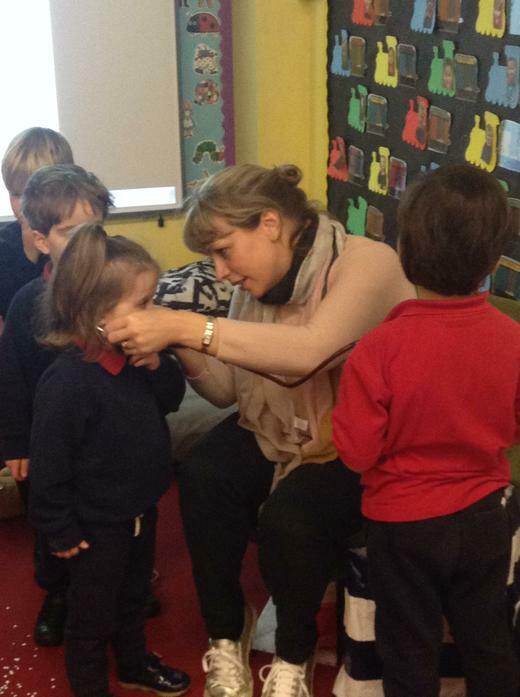 Thank you to all of you who managed to attend our Nursery Welcome Meeting this week. We hope we were able to provide you with some useful information and were able to answer any questions you had. We have uploaded the powerpoint that was used during the meeting to this page for you to refer back to or for any parents who were unable to attend. Please ensure you have booked a slot for your child's parents evening next week on either Tuesday 16th , Wednesday 17th or Thursday 18th October . We are starting our new RE topic next week called 'Welcome'. If you could please send in a photo of your child's Baptism we would be very grateful! A letter has been sent home regarding some Christmas Artwork. If you could please return it by Tuesday 16th October if you would like to enter. Well done to Gracie and Finn who were our Stars of the week this week. We hope you have a fantastic time with Bobby the Bulldog & Mason the Meercat! Thank you for your continued support, we hope you have a great weekend! Thank you to all parents who have returned the reply slips regarding the welcome meeting next week. We look forward to meeting you all on Monday or Wednesday. 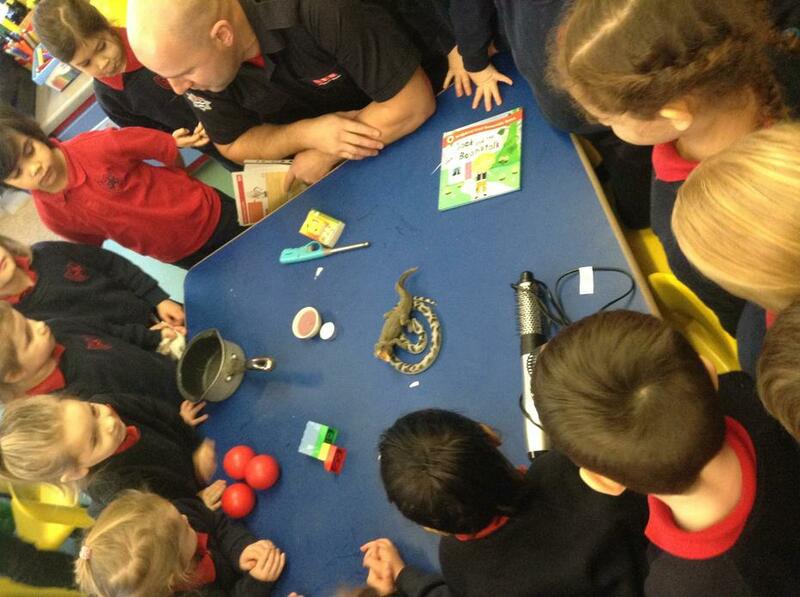 This week the children have been introduced to 'Bobby the Bulldog' & 'Mason the Meercat'. Bobby & Mason will be spending lots of time in our class watching us and they are looking forward to choosing the 'Star of the week' next week! 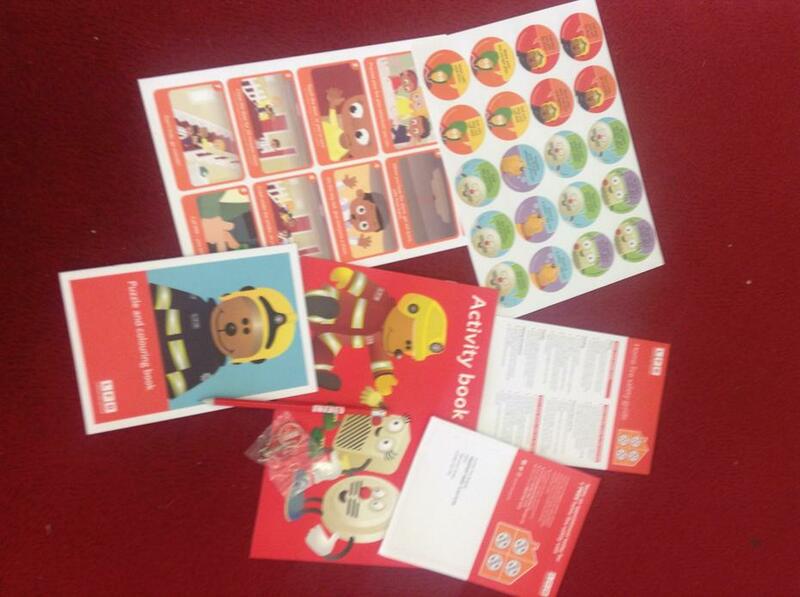 The children are all very excited to be chosen & can't wait for Bobby or Mason to spend the weekend with them. We had our first PE lesson this week and all of the children behaved brilliantly. They walked to the hall very sensibly and we received lots of comments about how grown up they looked! We enjoyed celebrating the feast of St Francis where we also got to eat some delicious ice-cream. We have practised writing our name & counting to 5. We made owl paintings using our handprints and we all decorated a handprint to collectively make our RE display! This week in Nursery we painted our self portraits, learnt about sharing and being kind to others & we discussed all of the things we can do now that we couldn't do when we were a baby. We also spoke about the skills we have developed, what we find tricky and what we would like to get better at doing this year. 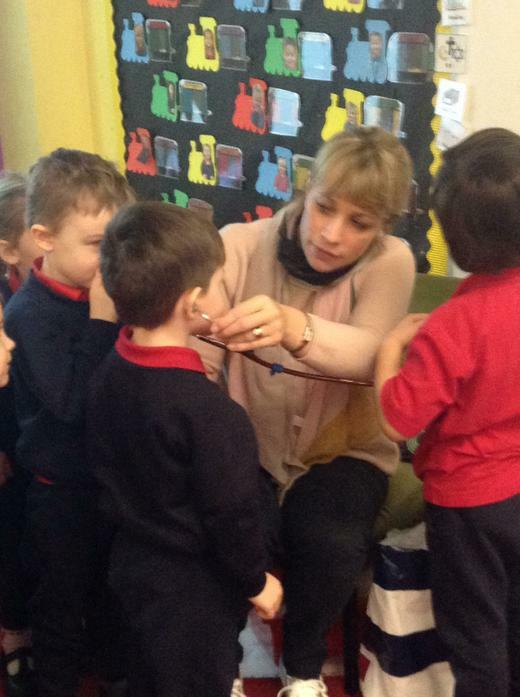 The children were shown how to brush their teeth effectively and have all received a toothbrush and some toothpaste! We spoke about the importance of brushing & decided that brushing our teeth when we wake up and before we go to bed is VERY important. This week children's reading diaries have been sent home. Next week they will be taking home a free choice which you will need to read and discuss with them. You will then return the book the following week and a new one will be sent home. Please feel free to leave a comment which will be checked on their reading day the following week. If parents could please return the reply slips regarding the Nursery welcome meeting on Monday 8th October/Wednesday 10th October - Thank you. 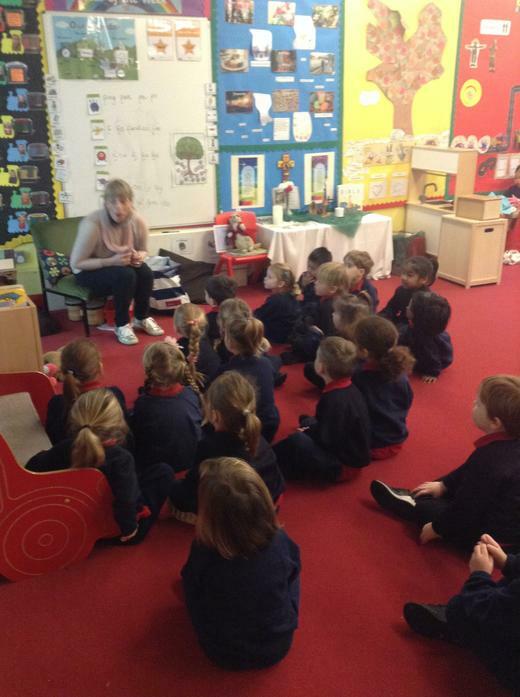 The children have settled in fantastically and have really enjoyed their first week in Nursery. They have made new friends and done lots of painting, collages and drawing. 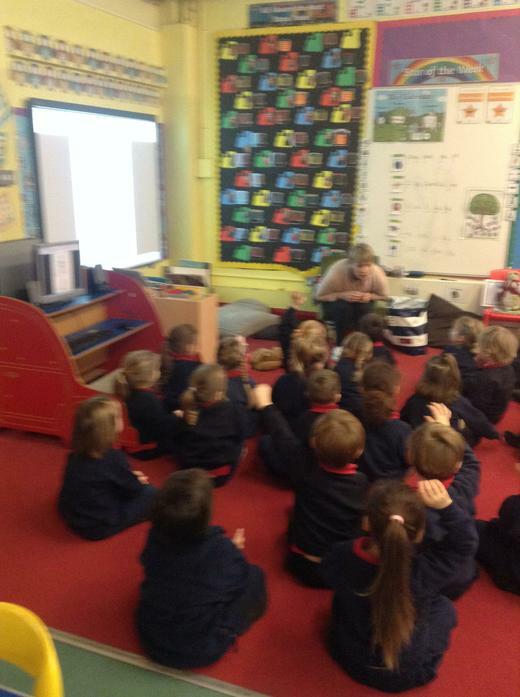 They have been learning the days of the week and they have been joining in with Nursery Rhymes and stories. 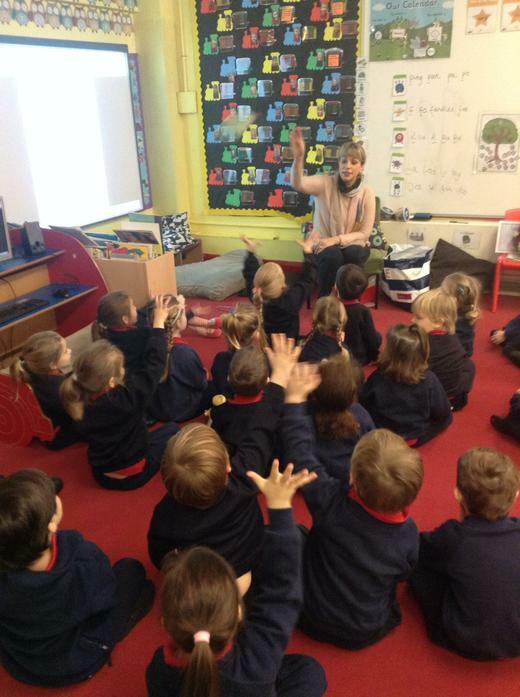 Each day the children are becoming more familiar with the class rules and they are all trying very hard to follow instructions! Next week we will be getting to know each other better. Please can you bring in a baby photo of your child. We will be talking about memories and how much we have grown so far! Thank you for your support, we hope you have a wonderful weekend! 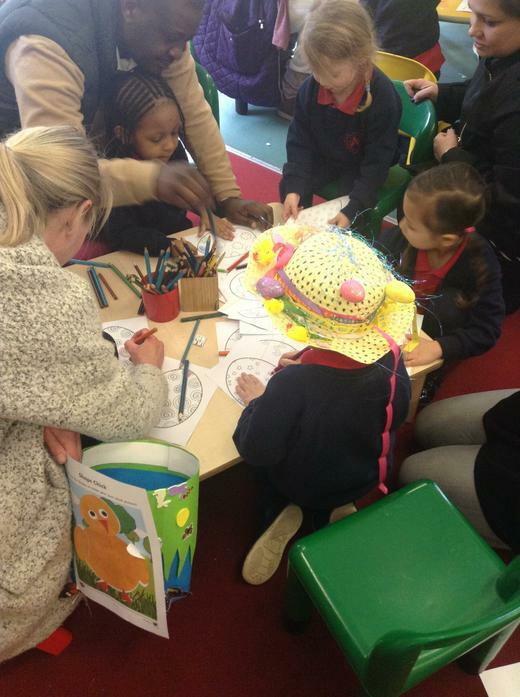 We really enjoyed spending some time with you and your children during our drop in sessions. 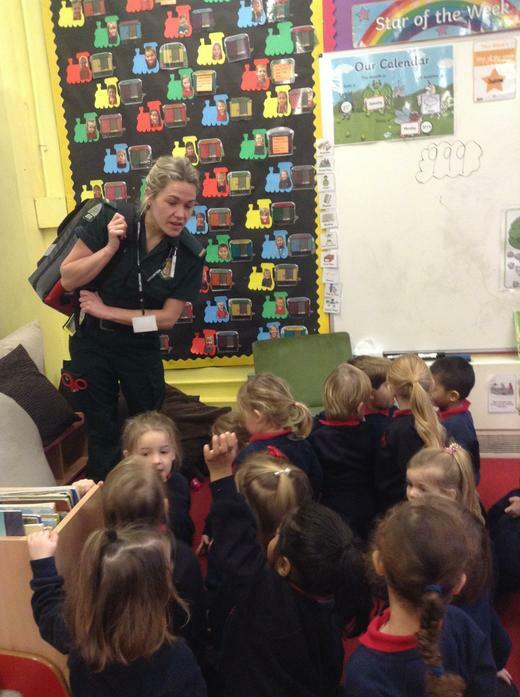 The children were very well behaved and were all settled on Friday when they came in on their own for the very first time! 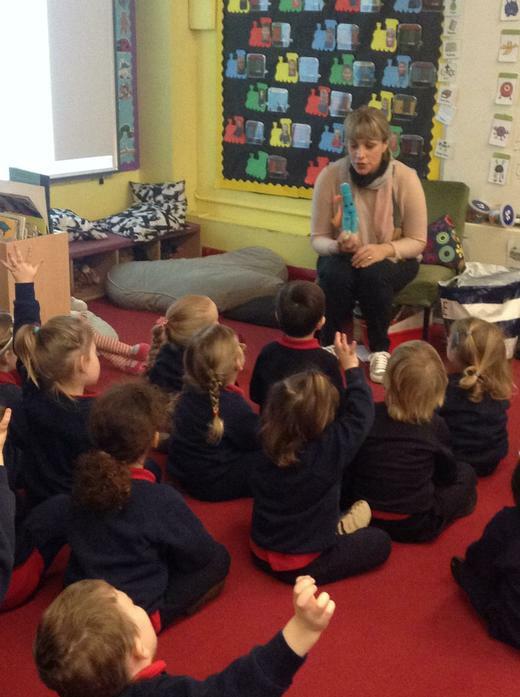 We hope they have lots to tell you about their visit and we look forward to welcoming you all back when they begin their Nursery journey next week. 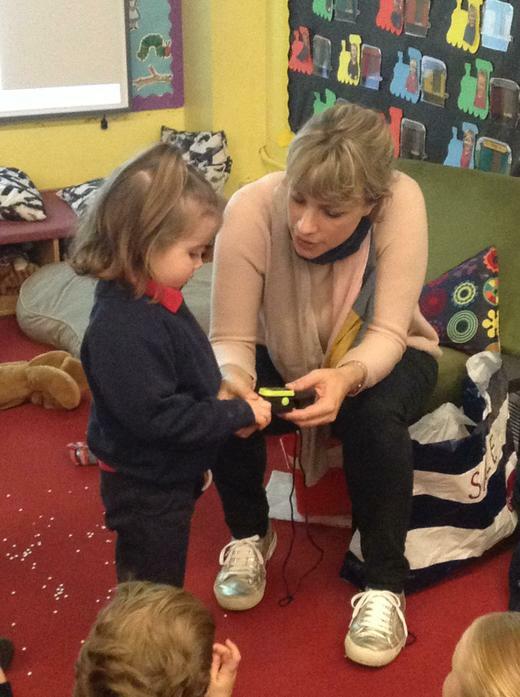 In the Foundation Stage children learn best through first hand experience, by doing things. We as adults call it play. Play is children's work, and you can help by taking an interest in your child's early achievements. 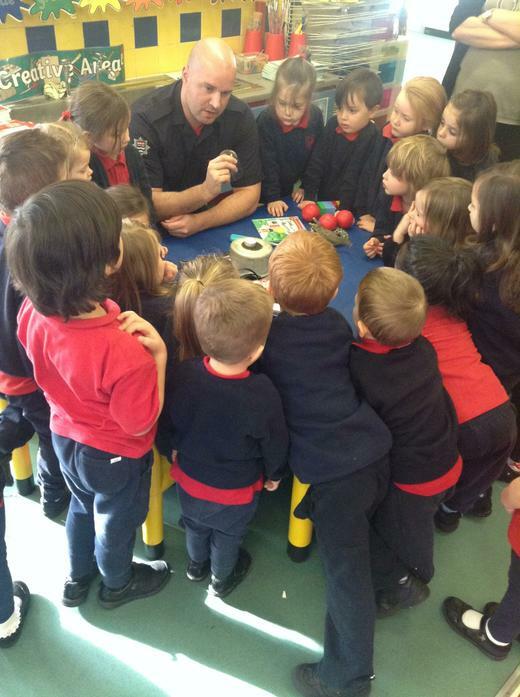 Painting and drawing, junk-modelling and collage are important evidence of their skills and stages of development. When they tell you their news about school they are giving a gift of language and speech so please take time to listen. We will provide music, games, story sessions, materials for creative activities; opportunities for role-play, pretend games and equipment and expertise for the practice of physical and mental skills. And being a part of a vibrant class we are developing the social skills needed for dealing with life in school such as learning to share adult attention with other children in the class and with each other. In preparation for Nursery either Ms Fox or Mrs Lanteri-Hasani and Mrs Prince will visit you and your child at your home. You will have the opportunity to ask any questions as we learn more about your child by going through a short questionnaire and interacting with your child in a short play session. A pre-arranged one hour session at the Nursery will take place for you and your child so they can familiarise themselves with their new surroundings on Thursday 13th September at 9:00am-10:30am or 1:30pm-2:30pm and get a chance to meet our team of staff. On Friday 14th September there will be a pre-arranged session at the Nursery where you can leave your child to settle at 9:00am-10:30am or 1:30pm-2:30pm. Most children settle in quickly so please be patient as it is worth it in the end. A.M- parents come in through the main gate, turn right towards Friary Lane, left through the gate at the front of the school. Walk alongside the building. The Nursery is at the end of the path. P.M- parents gain entry via the large double gates in Friary Lane. Turn right, the Nursery is at the end of the path. Exit through the main gate is at 3:30pm. Nursery uniform consisting of a navy tracksuit and red polo shirt with the school logo are available to order online via the school webpage. Please label ALL items of clothing. Footwear should be either red, blue or black suitable for outdoor activities.